Ahhhhh here's just a wee bit of the blarney for ya, folks! Yes sir... it may not be easy being green but it sure is fun making leprechauns, shamrocks, and clover with it! 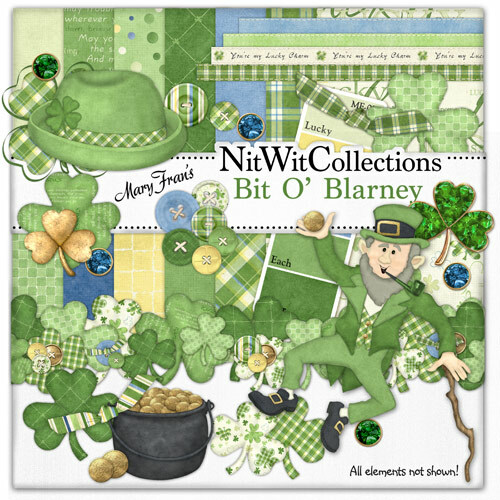 hahaha "Bit O' Blarney" is not only full of lots of things for your St Paddy's day decorations, pages, or invitations but most of the papers could be used for all sorts of other non-paddylike pages too! May the luck of the Irish follow you always!